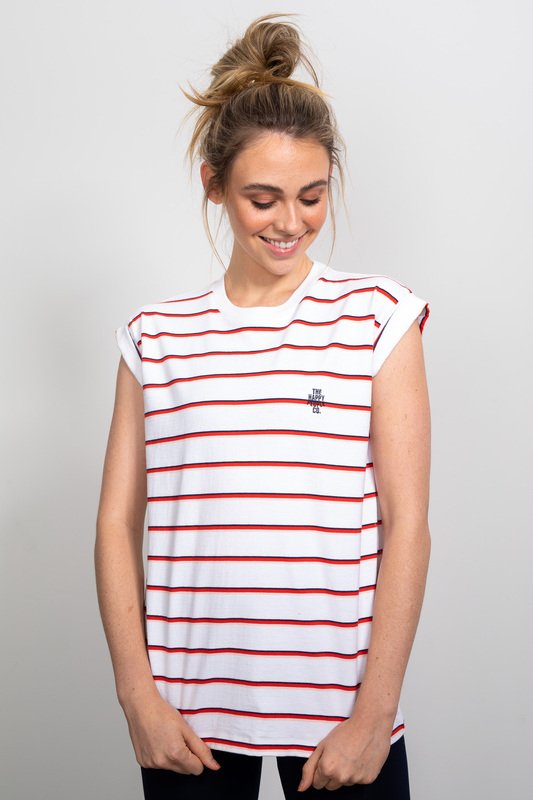 Our Happy Roll Sleeve Tee Stripe is a cool favourite in The Happy People’s TO BE Collection. The Tee silhouette is a relaxed fit with high neckline and cropped rolled sleeve. Made from 100% soft cotton jersey, it’s the perfect top to wear to the studio or style back with your everyday wear. 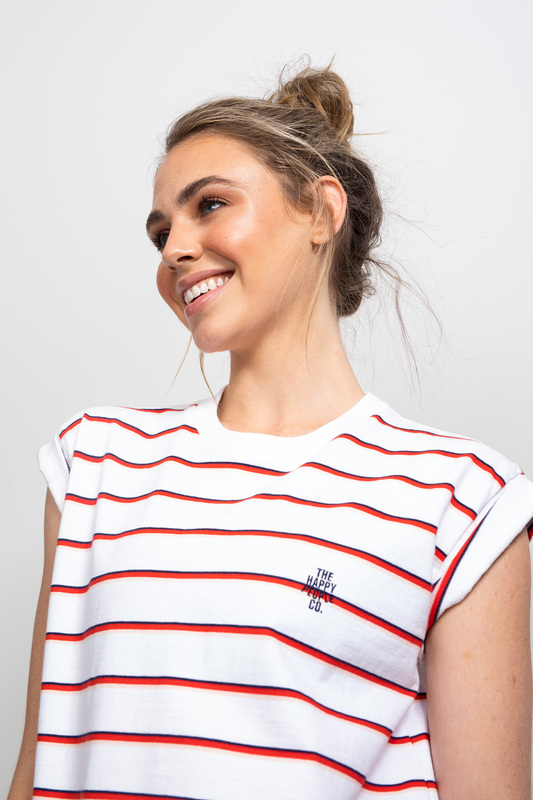 Our statement happy roll sleeve tee is so versatile, you’ll be turning heads at yoga, the gym, walking the dog, shopping and for the days you just want to be comfortable on the couch. 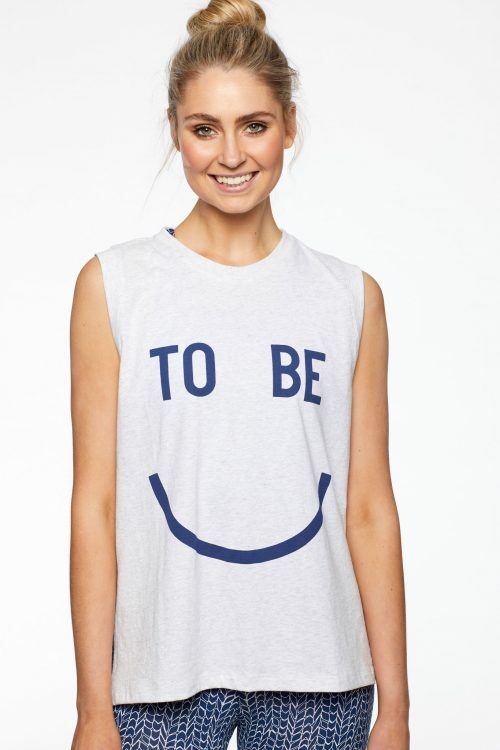 Wear our Happy Roll Sleeve tee with our Long Beach Leggings while you downward dog or working out the gym. Alternatively wear your crop with your favourite top, jacket and superstar sneakers for a relaxed and comfortable every day option. The Happy Roll Sleeve silhouette is a relaxed fit with high neckline and rolled crop sleeve. 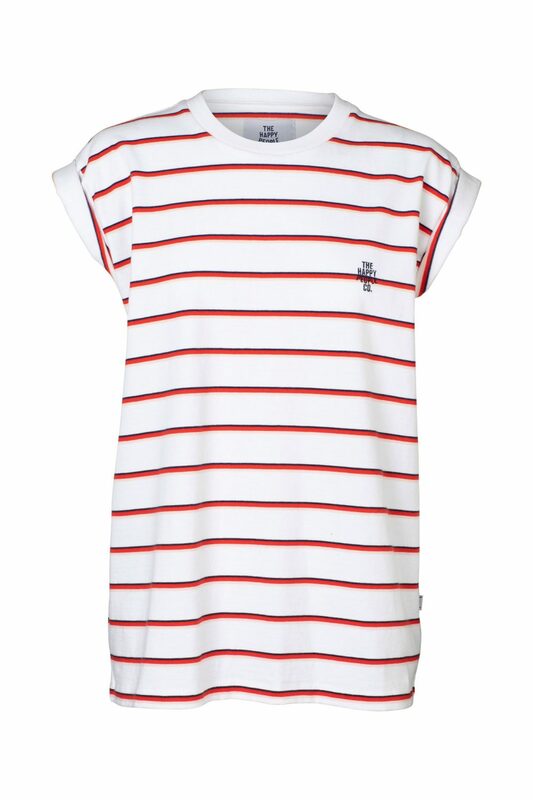 Made from 100% soft cotton jersey, it's the perfect top to wear to the studio or style back with your everyday wear. 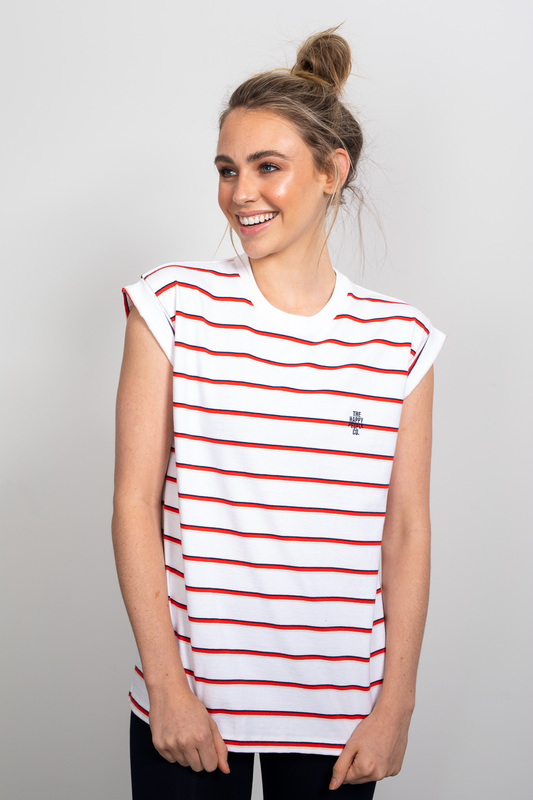 Made from 100% soft cotton jersey, it's the perfect top to wear to the studio or style back with your everyday wear. The Happy Roll Sleeve Tee silhouette is a relaxed fit. We recommend buying your normal size for a relaxed look. Alternatively go down a size if you want a tighter look.